Dennis Allen just knows how to make a song like this work. 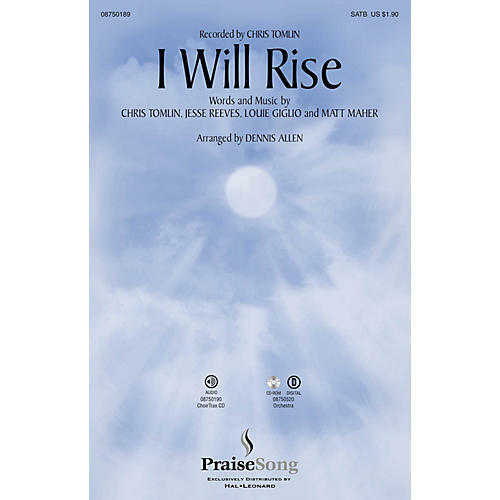 The rhythms are stylistic and accessible by your choir for this contemporary praise song. Available separately: SATB, ChoirTrax CD. Score and Parts (fl 1-2, ob, cl 1-2, tpt 1-3, hn, tbn 1-2, tbn3/tba, rhythm, perc, bells, timp, vn 1-2, va, vc, db) available on CD-ROM and as a digital download. Duration: ca. 5:00.